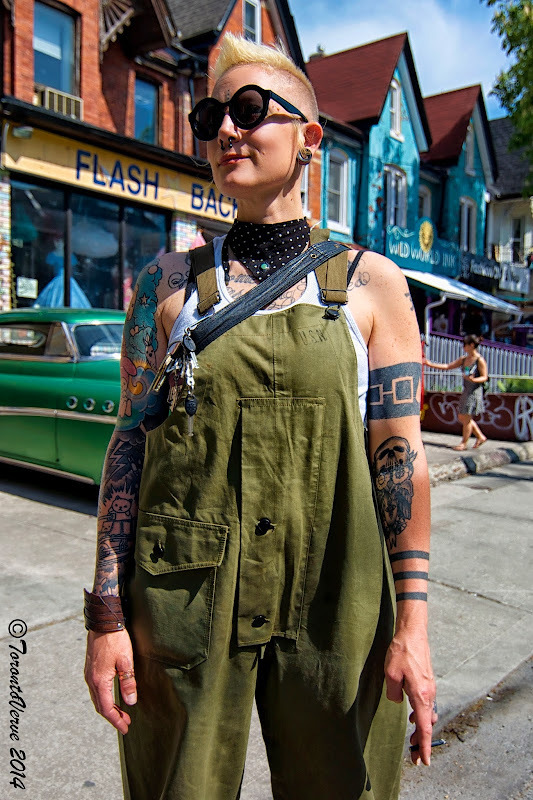 Thea: "My style can be described as army brat meets Little Orphan Annie. I'm wearing army mechanic overalls and a wife-beater shirt." TorontoVerve: "I love your tattoos." Thea: "Thanks. My tattoos on my right arm represent happiness meets Armageddon." Thea AKA Saucy Miso is a freelance DJ specializing in industrial and electro beats. Check out her sound on her website.